Meet my new Horse, Sunday! A willing servant, yet no slave." first went to see him in March, 2003. My First Ride On Sunday! a beautiful view of the Big Horn Mountains! 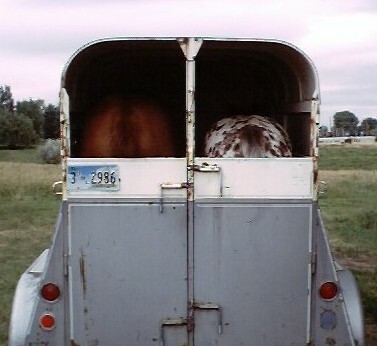 Big Horse in a Little Trailer! A good friend from North Dakota raised Sunday. 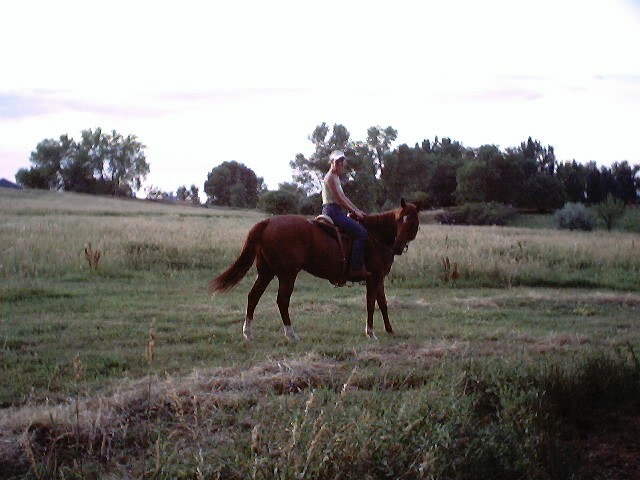 I think he has alot of potential to be a great barrel horse! He is a very sweet boy and I am making progress every day with his training, although there were some rough spots in the beginning. I decided he needed more time and he is doing wonderful now. 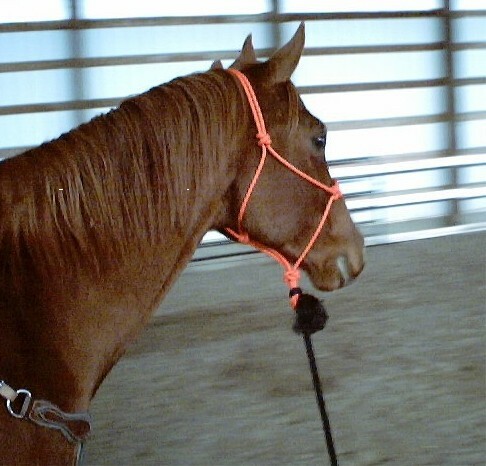 I am so excited to have a new horse like him! Although I will keep Gypsy forever, she is ready to be retired. I have so much work to do with Sunday but I am looking forward to every minute of it!